When vegetable gardeners ask for recommendations of what to plant, my answer is simple: Plant what you like to eat. The season is short, and most edibles will grow just fine with a little care. Plus, in most cases it’s not like we count on them to return year after year. But when the question is about ornamentals — those plants that pretty up the garden or are depended on to last from year to year — the answer isn’t as simple. When considering what to plant, gardeners need to consider their horticulture zone (Long Island is teetering on 7) and stick to plants that will thrive in our climate. It’s all well and good to admire a Baobab tree, but good luck growing one in New York. Beyond climate, there are other considerations. Is your site sunny or shady? Is the soil clay, sand or loam? How’s the drainage? Will the plant behave or become invasive? It’s enough to make you throw in your trowel. So instead of starting the search with plants you like, and invariably having to eliminate some because of their requirements, I usually recommend doing it the other way around: find out which plants are best-suited for the area, and select your favorites from there. Sticking to native plants whose origins are local not only will provide you with a lower-maintenance garden, it will provide food for native birds and pollinators, which can’t always survive on nonnative plants. To provide more guidance, I’ve asked seven of Long Island’s horticultural superstars for their expert recommendations. Here are their favorite plants, all of which are perfectly suited for Long Island gardens. 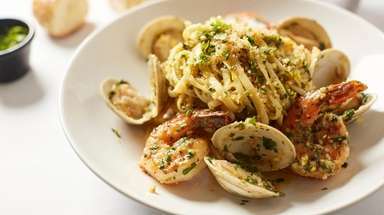 Simeone was born in Massapequa and grew up in Islip before moving to Oyster Bay in 1993. He earned an associate's degree in ornamental horticulture from SUNY Farmingdale, a bachelor's in ornamental horticulture from the University of Georgia and a master's in public administration from CW Post. Simeone, 48, has worked at Planting Fields for 24 years and has spent the past 13 years as its director. As such, he gets to live at the arboretum, in a home he shares with his wife and two dogs. "At the gardens, I garden all day long," he said. "I have a little garden in the back, and I have a lot of fun growing giant pumpkins. I grow tomatoes in my own yard, especially old-fashioned heritage brandywine types. 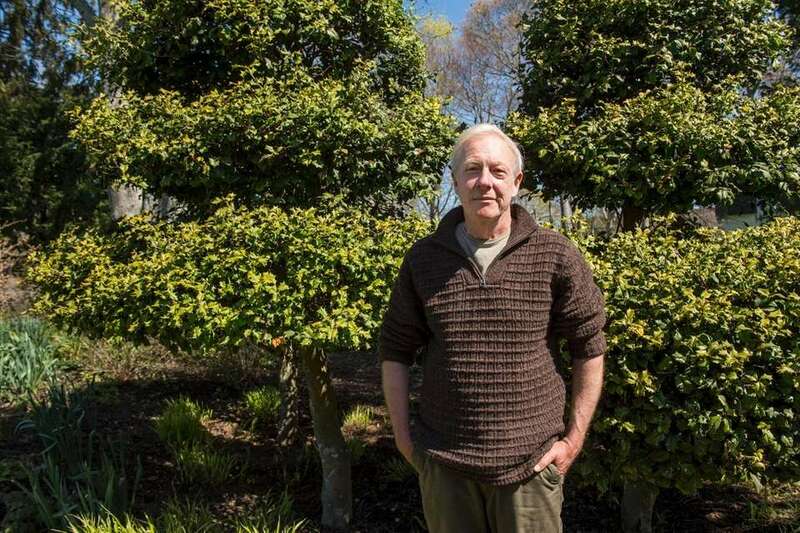 Beyond that, the landscape here keeps me very busy, so I don't do a lot of gardening at home." "People are always searching for new things they can plant, how they can have success in the garden," Simeone said he has noticed. "An educated gardener is a successful gardener. Don't use the same old stuff, try new plants. It's not like it was 10 or 20 years ago. Now, things change all the time, and you have to change with the times. Now we have climate change, and gardeners need to know about these things. I think the average Long Island gardener is very well-informed, so keep up with the trends. A lot of people are introducing plant trends, so speak to local nurseries and interact with local professionals. And keep a log of the good research out there." First on Simeone's list is this summer flowering tree. "It's a multi-seasonal plant with four seasons of interest, interesting bark, fall color and flowers. Any time you have multiple seasons of interest, it's a good thing. 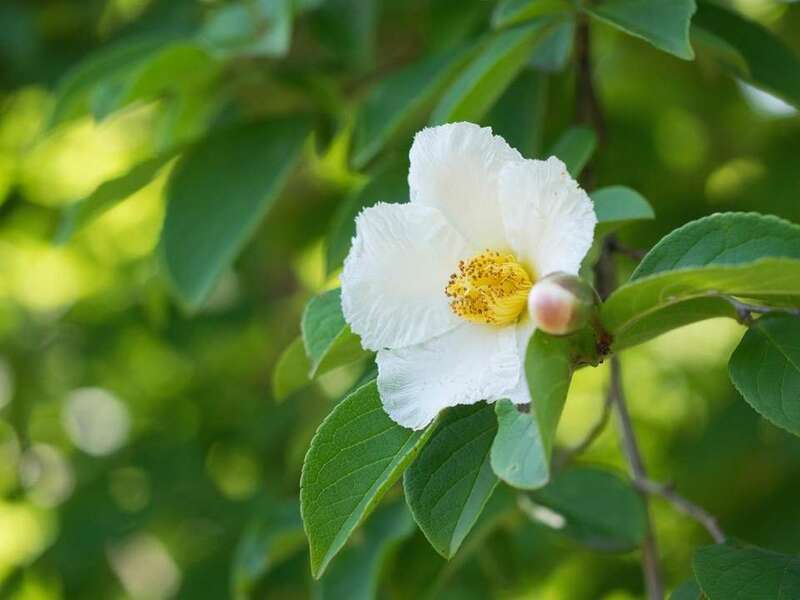 Stewartia will take sun or shade, once established, and it doesn't get too big. It's nice for a residential landscape." 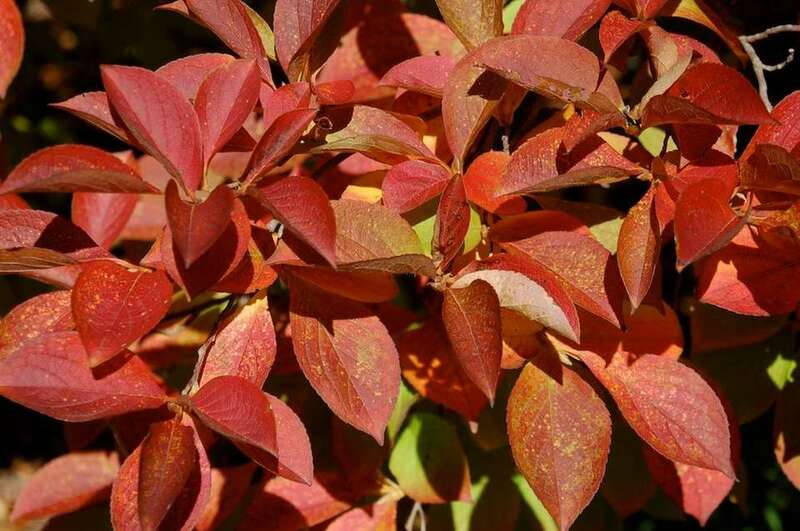 "This native shrub will adapt to most situations -- sun, shade, wet soil, dry soil. It's sweetly fragrant flowers bloom in August in either pink or white, depending on the variety. It's also very good for pollinators and good for birds. They, too, have multiple seasons of interest, with flowers, green foliage in summer, fragrance and yellow foliage in fall. They are extremely adaptable and work well with perennials, shrubs and trees, and as foundation plantings or in perennial borders." "I absolutely love a flowering dogwood. It's an underrated native, which is starting to make a comeback, which is great. We're collecting cultivars that have better resistance to disease, and two I like to use are 'Appalachian spring' and 'Cherokee brave.' 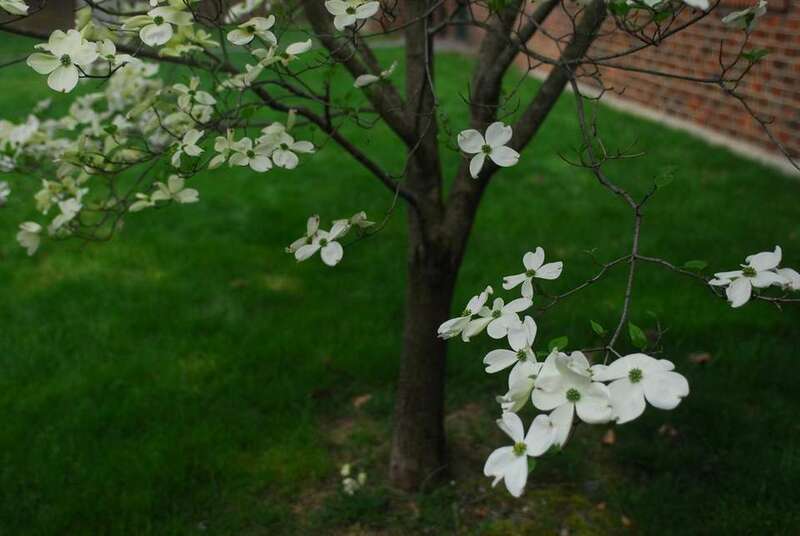 The whole key to growing American dogwood is site: They need air circulation and light; I recommend an eastern exposure for morning sunlight and afternoon shade. They like high shade and don't like to be crowded in. Flowering dogwood is another four-season plant, and it's an important one for birds and pollinators." Rick Bogusch was born in Philadelphia and grew up in Massachusetts. He earned a bachelor's degree in botany from Hamilton College in upstate Clinton and a master's in landscape architecture from Cornell University. Bogusch, 65, worked as a landscape architect at Cornell Plantations in Ithaca for 20 years before coming to Bridge Gardens, where he also lives, eight years ago. Spending his entire day in the gardens leaves little time -- or wherewithal -- to garden after-hours in his own plot, so Bogusch doesn't have a garden of his own. "Even if I lived somewhere else, I wouldn't have a garden -- not when I'm doing this all day!" he joked. "Know how big your plant, tree or shrub is going to get after a certain number of years and give it enough room. Do not crowd plants. Even though it gives instantaneous gratification, they will grow better and survive longer" if properly spaced. "I've enjoyed growing 'Winter gold,' and people always remark when they see it. It stands out from a distance and is easy to grow, too. It's not deer-resistant, though. It's easily found in the wild uneaten by deer, but in a garden setting, it seems to attract them, at least in the summer." Bogusch said Winterberry holly thrives "best in part sun or full sun conditions, can handle wet or dry soil and is very adaptable to soil fertility. I've seen it grow in swamps, I've seen it grow in dry, sandy situations, too. I've also seen it grow in deep shade in the woods, but it won't get berries." There are male and female plants, and to get fruit Bogusch said at least one male pollinator (Jim Dandy) must be planted for every 10 female Winter golds. "This nonnative is beautiful all year round, but it needs a protected spot, especially from winter winds. It's available from mail order, but you do see it in garden centers now and then." The early spring bloomer is "very fragrant with beautiful sculptural form and color. Its branches are golden, rusty brown. It stands out. It's really quite striking." Bogusch noted that the large shrub, which tops out at 6-7 feet, "looks like a piece of sculpture when it doesn't have leaves." 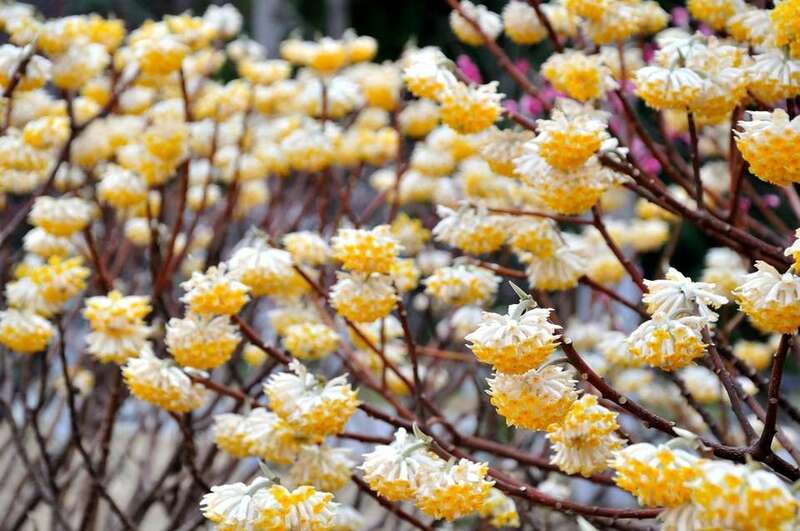 Edgeworthia also has "gorgeous foliage and is a great four-season plant. It's good for a part shade-part sun situation. Use it near the house where it's protected and you can enjoy it at all times during the year. It's also so fragrant, it's wonderful to enjoy in the spring. It prefers a good, rich soil, adequate moisture and would not like a drought or hot, dry, sunny condition." "I love hollies in general. If you don't have a deer problem, there are many you can grow. One thing I love about the American native holly is the deer don't bother it. We planted a couple dozen of them, and the deer did not eat them over many years. It does grow wild out here, but it's too bad it's a little bit difficult to find [at retail outlets]." Bogusch said the plant can "take some shade but can also grow in full sun. It's slow-growing but ultimately can get to be 15 feet tall or more, so you have to give it more room. I'd say it's very adaptable wet or dry, and would prefer sandy soil over heavy clay soil." Born in Queens and raised on Long Island, Brush lives at Old Westbury Gardens with her husband and children, who are 2, 5 and 7 years old. 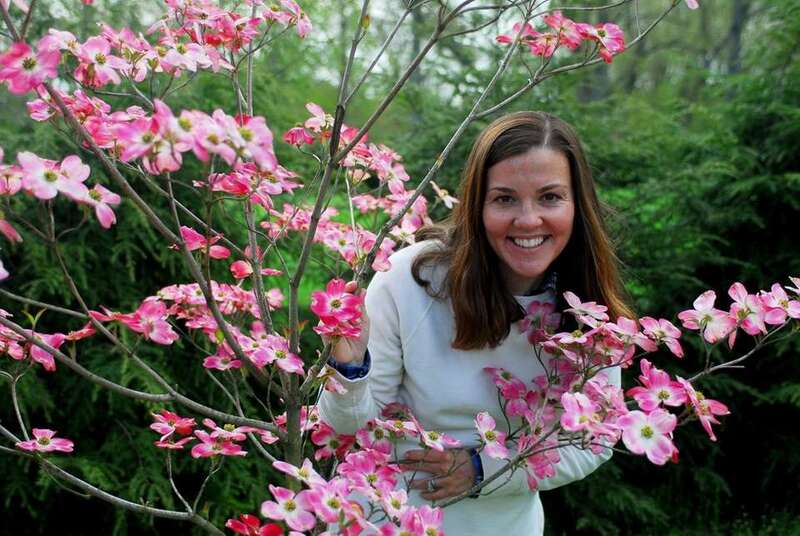 She earned a bachelor's in landscape horticulture from the University of Maine and has been working at Old Westbury Gardens for 17 years. "Old Westbury Gardens was primarily a spring residence," she said, noting that the original owners of the estate, the Phipps family, "were here in the spring, so a lot of the plants here that I've fallen in love with over the years are spring bloomers." Brush, 37, a lover of shade plants, noticed over the years that "people are always trying to create areas where they can grow sunny plants. But why not just celebrate that you have shade?" She encourages homeowners to keep their large trees. "It kills me when an oak or maple dies and people replace it with something smaller." In her own garden, Brush did the opposite. "I created shade so I could plant all of my favorite plants. My own garden is ferns, Anemones, Epimediums and other woodlandsy shade plants." "Embrace your shade. Don't be afraid to grow trees and don't think you have to remove trees because you think you need to in order to have a beautiful garden." 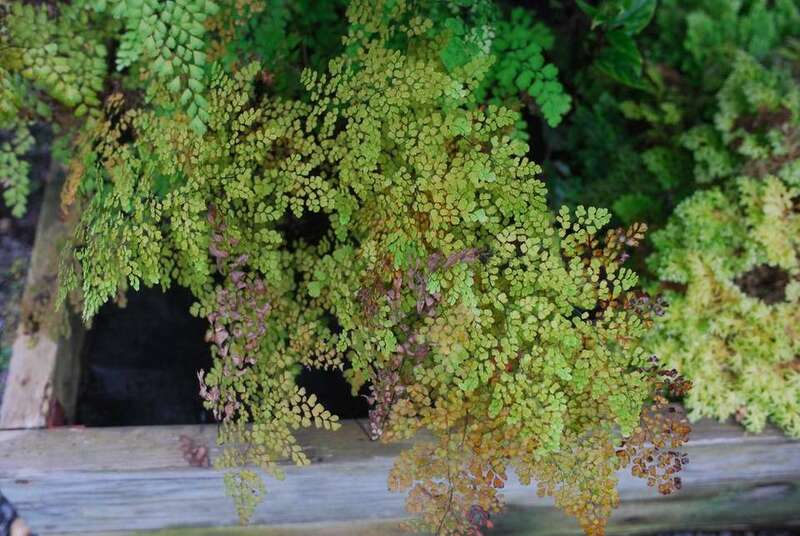 "If I could only plant one plant, it would be maidenhair fern (Adiantum pedatum), which is just emerging now. It's a native fern. One of the things that I have never had to be aware of is deer, but it's deer-resistant. It has an ethereal, airy quality with delicate green ferns on black stems. I love anything growing up through it -- especially bulbs. It's a great companion for anything in the shade garden. I like it with bleeding hearts and anemones. I love it from the minute it starts to emerge and little fiddleheads begin to unfurl until the first frost. It'll take anything but sunlight and likes moist, well-drained soil." "When you have children you're outside all the time, so I love plants that bloom before May. Corniflorida blooms before the leaves emerge so you get the full power of the blossoms. Seeing them brings back memories of the fun times at the end of the school year, when the weather was getting warm. It reminds me of the first warm days of childhood. It's the native, so when I was growing up that's what dogwood looked like, but for years they disappeared because of the anthracnose disease, so for many years nobody grew them. But in the last five years, they've been breeding anthracnose-resistant varieties. They definitely like the moist, well-drained soil. They are an understory tree so can handle some shade and competition, and it will provide a dappled shade. They're tougher than people give them credit for. I especially like the open, branching habit and notched flower petals. It's just a classic, the perfect overstory for all of the shade plants I love." "This past year, especially since we've had such a mild winter, hellebores seemed to go from one season to the next. They can take dry shade. I like the foliage; it's clean and green and strong, so for me, it's a staple for the shade garden. They also make beautiful cut flowers and are deer-resistant." 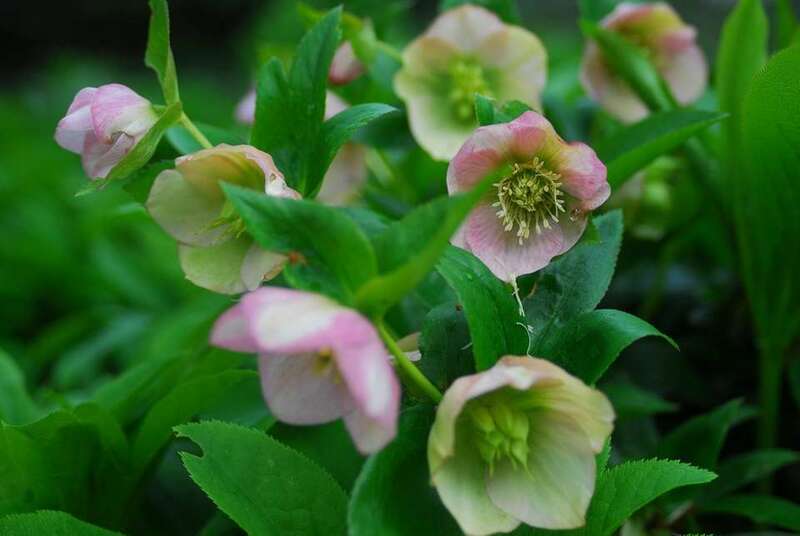 Brush recommends growing Hellebores with ferns, especially maidenhair, Epimedium (barrenwort), cinnamon fern and Anemone, especially 'Honorine Jobert,' which she said is "a beautiful white, late-flowering one." 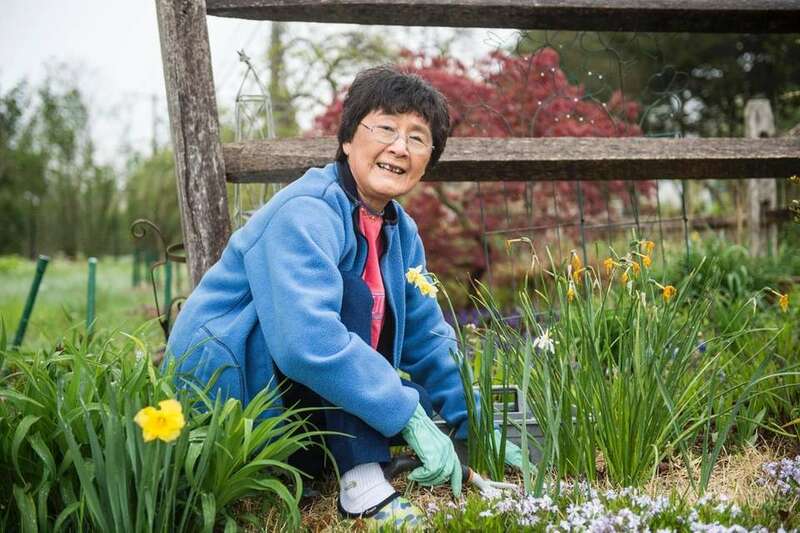 Kiang, who retired in 2012 after 40 years with the cooperative extension, is credited with starting the Suffolk master gardener program and launching its spring gardening school to educate local gardeners. She is an associate member of the Herb Society of America's local chapter, a member of the Lifelong Learning Institute at Stony Brook University and serves on the board of Edible School Gardens of the East End, which works with South Fork schools to develop programs in which children grow produce for use in school cafeteria lunches. Kiang, who said she is "retiree" age, was born and raised in Taiwan, where she earned an undergraduate degree in horticulture science. She also holds a master of professional studies in horticulture from Cornell University. She lives in Aquebogue with her horticulturist husband, Bruce Amundsen, and said she has scaled down her garden to "mostly containers these days," although she does maintain mixed borders in the front yard and enjoys vegetables her husband grows. "I feel it's everybody's responsibility to incorporate native plants in the home landscape. They're good for wildlife and attract birds and insects. Long Island gardeners should incorporate them, but first should learn about their gardens' growing conditions: It's not like you can grow any plant in any situation. Now that natives are regularly available, go to the plant sales; the people there can help you out. They do a great job." "I really like butterfly weeds. They come out a little late, they don't bloom until June, but I like the bright colors of the flowers. 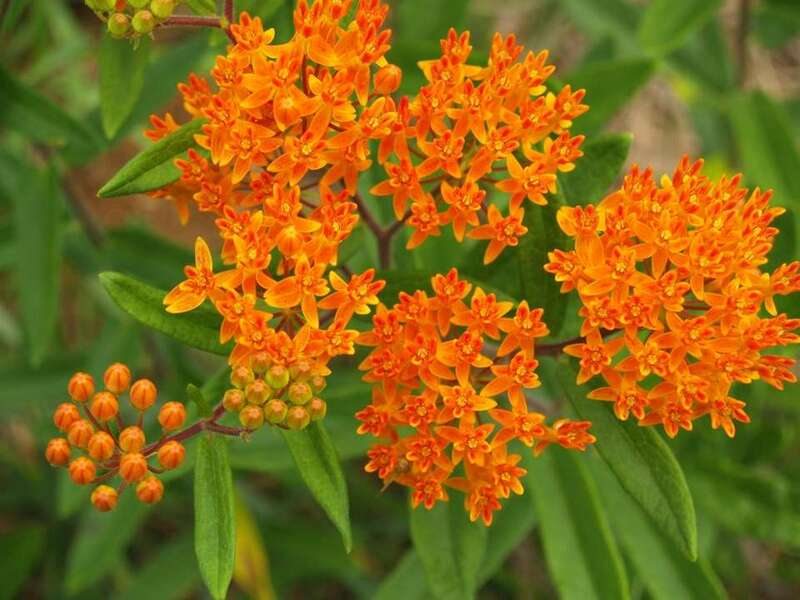 I used to travel from Westhampton to Riverhead in the summertime, and there's a little overpass, and when I came over it from the south I used to see butterfly weed along the roadside. Every time you come that way, you see the flower greeting you in the morning. It sort of makes your day. It's a very, very attractive plant to me." She said butterfly weed requires full sun and does not like to be disturbed. "They have very deep tap roots, she said, adding that, true to their name, "they do attract butterflies." 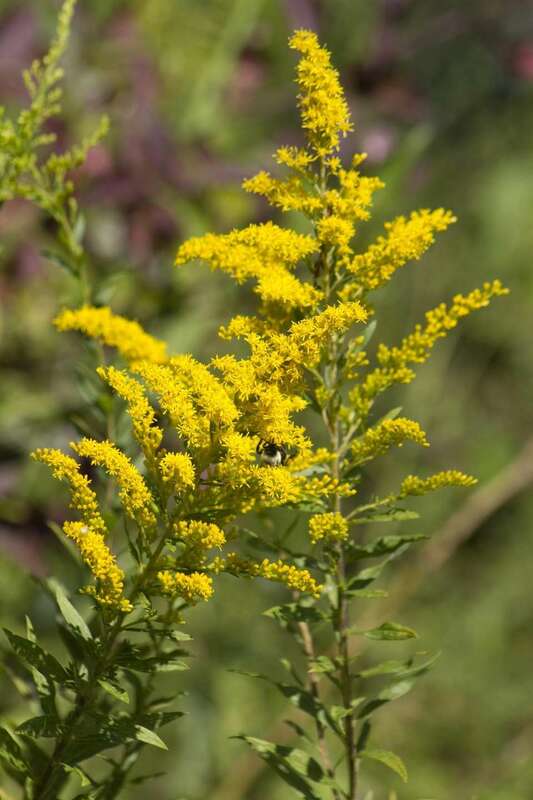 "I like this one because it has such a bright color and blooms late into the season and for such a long time, starting in August and going on until October or later. 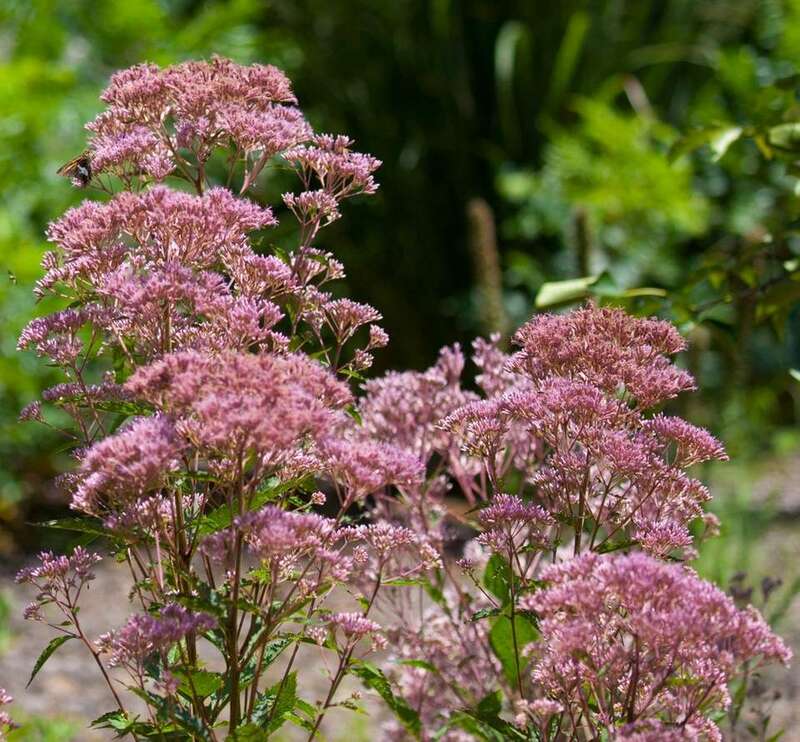 It likes full sun and well-drained soil, and does very well in seaside conditions." "This one is very tall, and in the right place requires very little maintenance. You'll find them growing near ponds because they like moist soil, and they also like brackish water," so are well-suited for the shore, Kiang said. Drzewucki said his education informally started when he was a small child in the gardens of his parents and grandparents. His formal training began at Sewanhaka High School in Floral Park, where he enrolled in a three-year horticultural vocational Regents-level program. After graduating, he earned an associate's degree in ornamental horticulture and nursery management at SUNY Farmingdale. 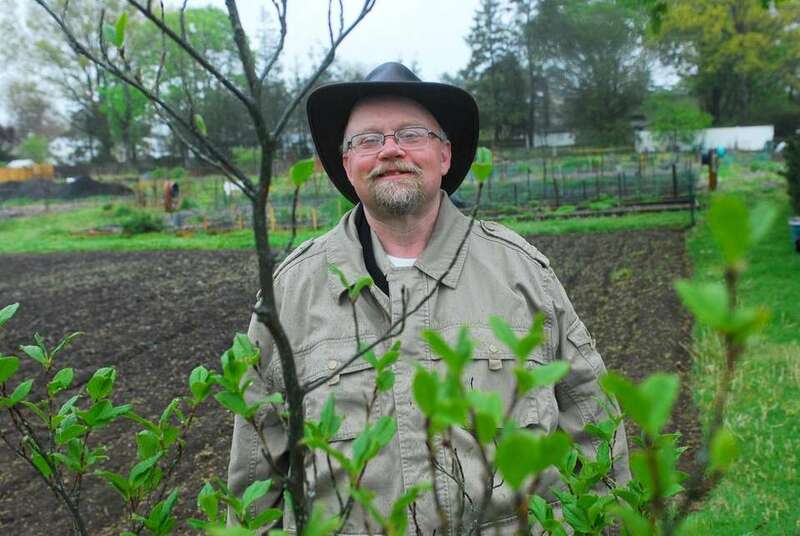 "My whole adult professional career has been in horticulture, working in garden centers and nurseries, and for the past five years I've been with the Cornell Cooperative Extension," he said. Drzewucki, 57, who also is a certified nursery and landscape professional, certified arborist and New York State-certified commercial pesticide applicator, grew up in Floral Park, which, he points out, is quite appropriate considering his chosen profession. He now lives in an apartment in Freeport, and so doesn't have a garden. "I have houseplants, and I don't feel deprived because when I come to work every day I have 2 1⁄2 acres of gardens here." "I see so many problems in perennials, annuals, trees and shrubs, and a lot of it is making sure the plant is in the right conditions. We have a mantra: 'Right plant, right place.' Following that mantra will actually help you avoid a lot of problems in the future. If a plant is in the right conditions, it's a lot less likely to get diseases and insects." "This is a smaller-statured tree, well-suited for smaller properties such as those in Nassau County and much of Suffolk. It probably gets only 25-30 feet tall with a 20- to 30-foot spread. 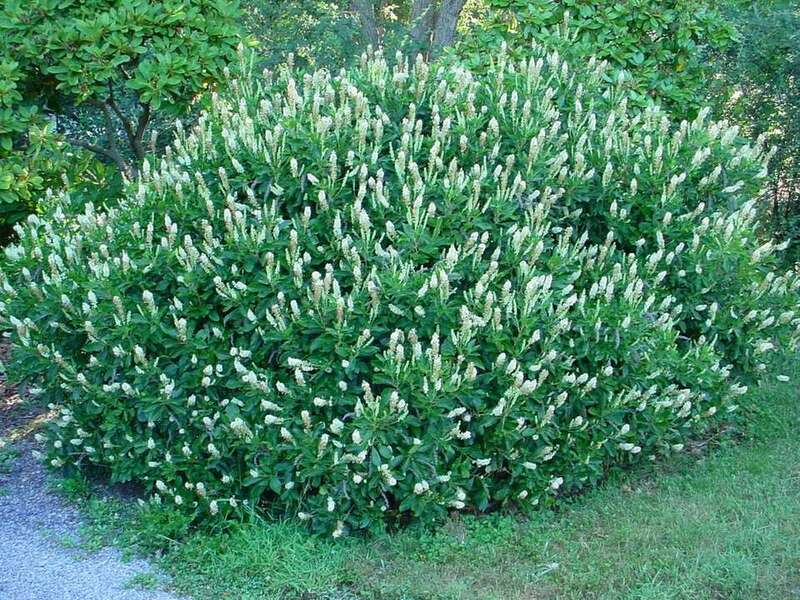 It blooms in July with white Camellia-like flowers. One of the best things about it is it's very pest-free; it's what I call a clean tree. I recommend it to folks who are looking for something interesting to look at near a deck or patio. It flowers in July, when there aren't a lot of other trees in bloom, and it has interesting bark on the trunk, with several different shades of brown, gray and orange tinges -- almost like a snakeskin look, so you'll appreciate it up close if you're on a deck or a patio. It's a stately, good-looking tree that doesn't get out of control. I like the fact that typically the leaves stay perfect. They're usually not eaten by insects or speckled with disease or spotted. When you're up close and noticing these things, it's clean as can be. And in the fall, there's great orange-yellow color. "There are different species of this shrub, but the two I like the best are the American beautyberry (C. americana) and Japanese beautyberry (C. dichotoma). The difference is the size. American beautyberry can get to be 7-8 feet tall and wide; the Japanese is a more compact plant. 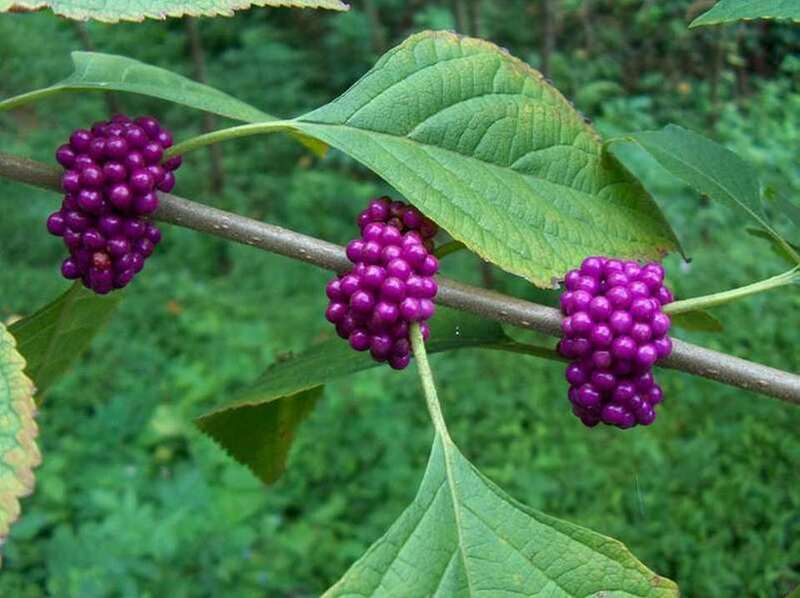 It has very interesting characteristics. . . . Beautyberry is a basal grower with a multitude of stems that emerge from the base of the plant, growing into a fountain-like shape. It's good in a shrub border or even as a focal point. The plant gets small white or pink flowers in May, June or even July, but the best thing about it is it develops these clusters of bright purple lavender berries that line up along the stems. They start to color up in late fall and persist into the winter. It has bright yellow fall color, and, after the leaves fall off, the berries are there providing the color, and it attracts songbirds because the birds love it. 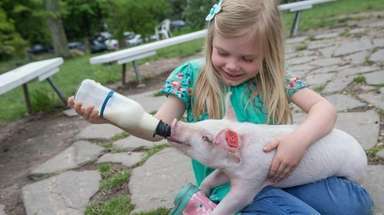 Plus, they don't really have a lot of pest problems." "I have always loved this tender perennial tropical foliage plant and use it everywhere, especially lately because of the problem with downy mildew of impatiens these past couple of years. It's great in shade but even does well with more sun. I love the wide diversity of colors available, and the shapes and patterns of leaves. Some are very ruffled and provide a fine texture; others are smooth. Some are very low-growing, and some are much larger. 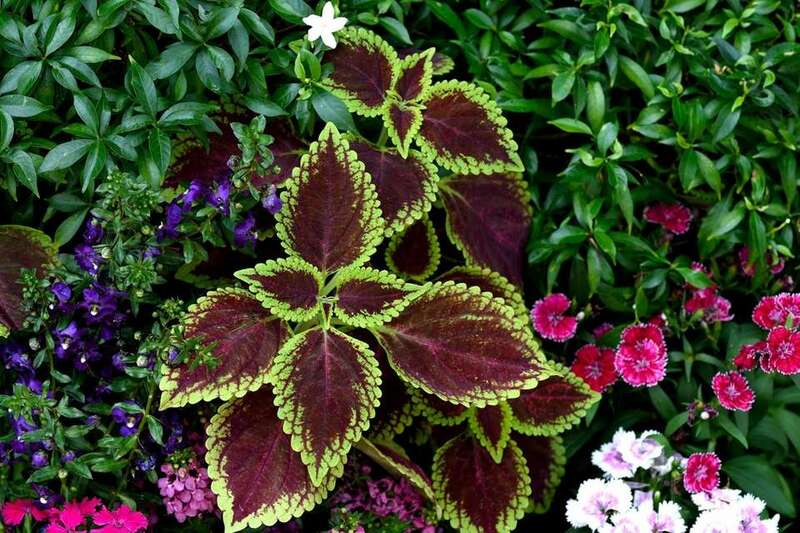 Coleus mixes in well with other plants, so I use them to fill in between plants in containers and in garden beds. You get lots of color without flowers. I call them 'the friendship plant' because when people visit me and admire my coleus, I can give them cuttings and they can put them in water and they root in about 10 days." As far as pests are concerned, "you do have to watch out for things like mealy bugs, but overall, they're pretty well-behaved. The only drawback is you have to watch them and keep the soil evenly moist to keep them happy." Santifer grew up in Newark, New Jersey, but has lived in North Woodmere for more than 40 years. Gardening is actually her third career. 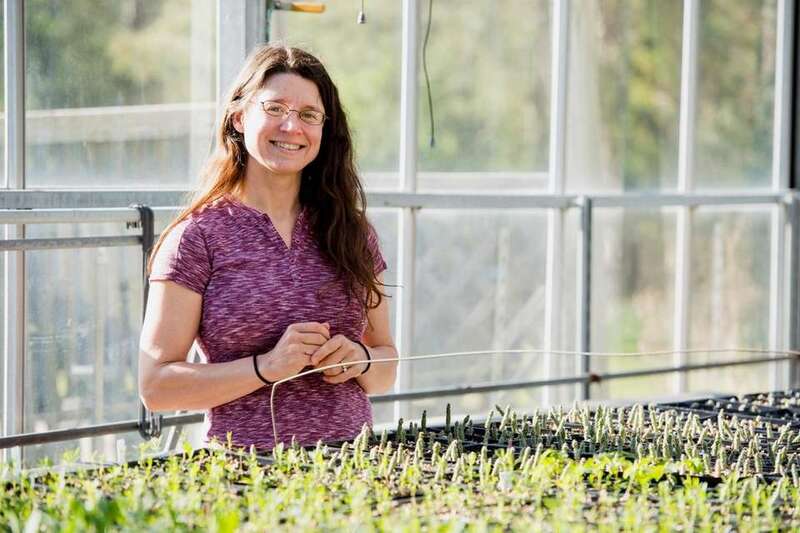 She has a bachelor's in sociology from Rutgers University, but said, "If I'd known I was going to love horticulture, I would have gotten a degree in horticulture from Rutgers instead." Santifer, who declined to give her age, worked at CBS Records before moving on to television as a talent coordinator for a PBS television show called "Soul!" 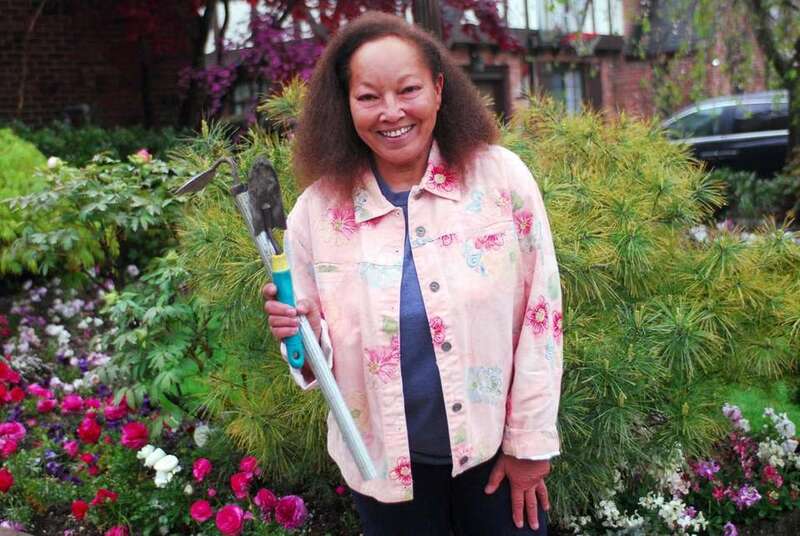 But when she got married and moved from the city to Long Island in 1977, she took up gardening as a hobby. "I went to audit one class at SUNY Farmingdale and caught the bug," she said. She soon enrolled and earned an associate's degree there. Her first horticulture job, in the 1980s, was working for Charles and Helen Dolan (the family that owns Cablevision, Newsday's parent company). "I ran the estate, the grounds. He had a Lord & Burnham greenhouse, which was the leading greenhouse-maker at that time, and he allowed me to revamp and restore it," Santifer recalled of Charles Dolan. "I had such a great time with that." From there, Santifer in 1984 started her own business, Laurel Hill Farms, named for the street where she lives. She put her horticulture training to work designing, installing and maintaining gardens, but never lawns. "Grass is a science unto itself. I opted after my turf classes never to get involved with cutting grass." Santifer actually wanted to be a grower, but she said the price of land on Long Island, even in the 1980s, was prohibitive. Santifer, who once was very active in the Perennial Plant Association -- a national group comprised of commercial growers whose mission it is to provide education and promote perennial plants -- over the years has earned nearly 400 ribbons at the Philadelphia flower show for her forced bulbs. Santifer doesn't have a home garden. "Trust me; you look at July and August, those dog days, and you've been out working. You come home stinky, sweaty, especially if you're a hands-on person -- and I am -- and the last thing you want to do even after a shower is to start puttering in the garden." "I think home gardeners should trust themselves more and not be afraid of the combinations that they come up with. I think sometimes people are hesitant to try something other than what they're used to. And generally, the layperson's eye is better than they think it is. If you don't like it, you can always take it out. And don't lust after impatiens until they come up with a cure." 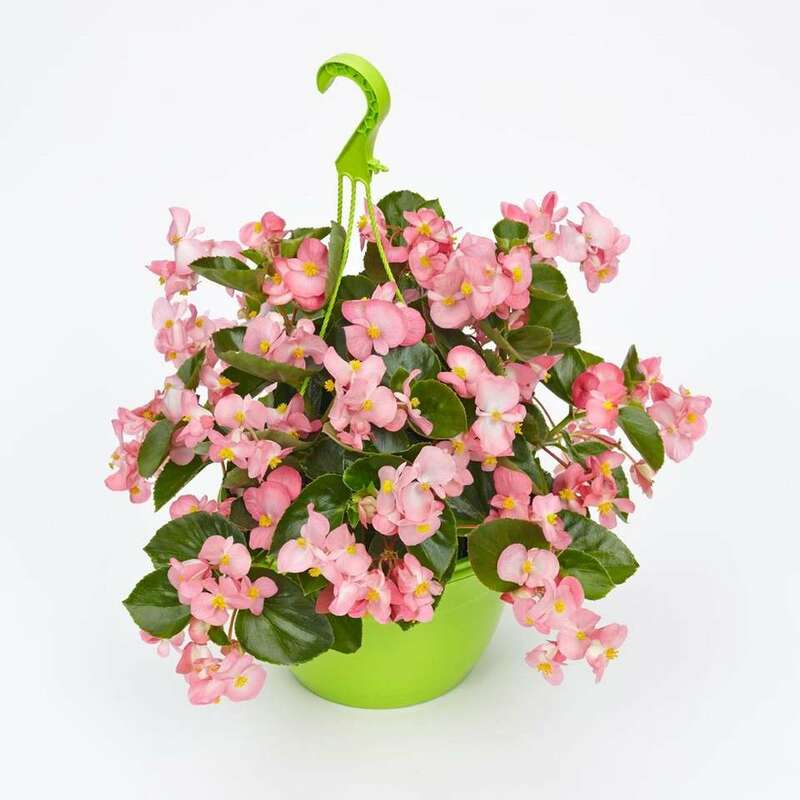 "Considering the impatien situation, I like the new BIG series of begonias. They're excellent. It's just nonstop until you pull them out. The beauty of it is it can be in a hanging basket, in the ground or in containers. It doesn't get insects, doesn't require a lot of water. It must be well-watered, but not to any extreme. And they have a pretty good color range: They're available in pink, red and Baby Wings white." "This begonia is huge, and when I say 'huge,' I mean the flowers remain small but it's a beefy begonia that you can't go wrong with. It's totally different from the BIG series or the Wing series. It beds out really nicely and gets wide, and we're always looking for something to plug into those holes that normally we would have used impatiens for. I really like oddball plants to pair with more common ones, so I would pair it with 'Blackie' sweet potato vine and chartreuse sweet potato vine. 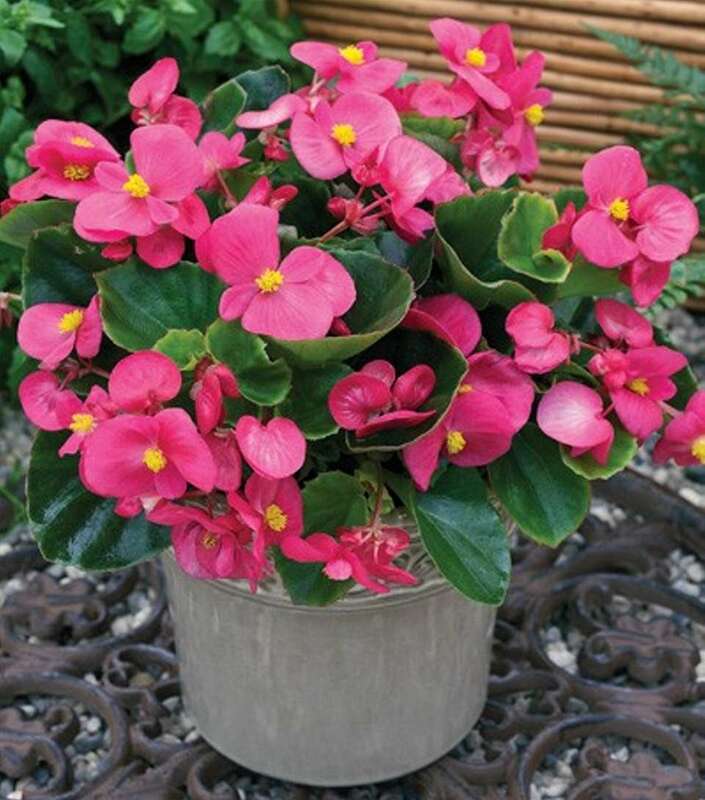 When you underplant it with that huge begonia, you've got that really clean look contrasting with the black and chartreuse." 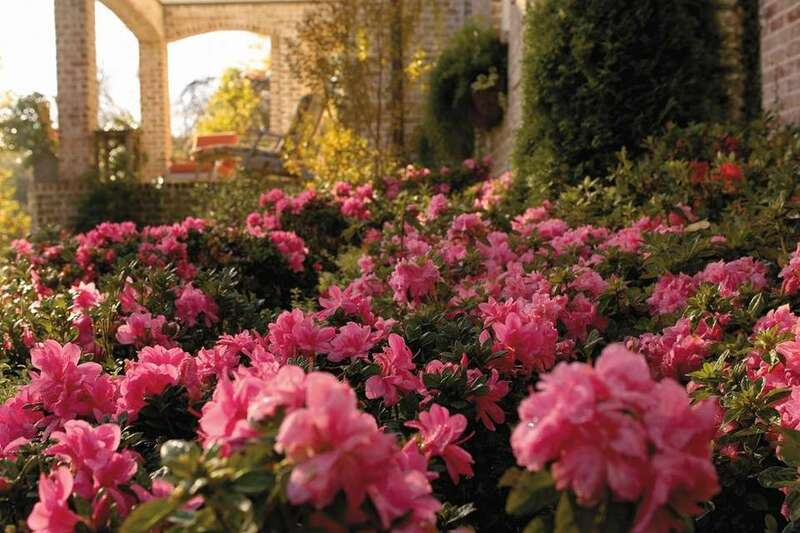 "There is a new azalea -- called the encore series -- that blooms three times a year, and I used it last year only in a few gardens so that I could observe it to see if it really did what they said, and it does. It has nice, large flowers. The first bloom is the heaviest. The second one is not as floriferous, but it's still a nice show. And the third bloom is in late fall, and still I was surprised that it really showed. It's available in different pinks, lavender, magenta and white. And it likes sun to shade. I like to plant it with Clethra." Weigand grew up on the western side of the Adirondacks in Turin, New York, and received a bachelor's degree in environmental studies from St. Lawrence University in Canton, in northern New York. She's completing her master's in urban ecology at Hofstra University in Hempstead and lives in Hampton Bays, where she grows a vegetable garden but not much else. "I live in a county house in the Pine Barrens, so I can't do any landscaping. I don't own it, and it's a historic site. But I do grow herbs, vegetables and some native plants." 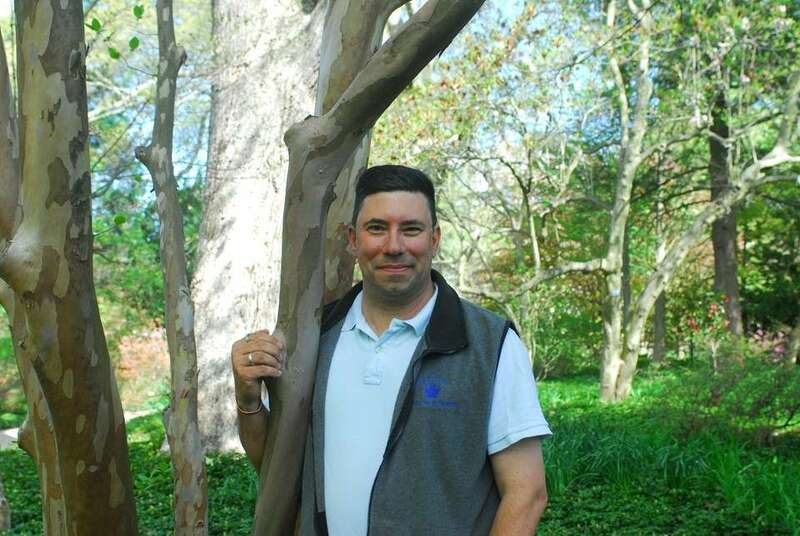 Weigand, 39, founded the native plant initiative 11 years ago through the Suffolk County Soil & Water Conservation District and obtained its nonprofit status. "Make sure you consider the source of your plant material. From a cultural perspective, I think the most important thing is to try to select a plant that meets your growing conditions. Don't try to make a plant match your conditions; make sure you're picking a plant that meets your conditions. To be successful in anything you're doing in gardening and landscaping your property, it has to be good from a financial perspective and an ecological perspective. That will provide you with the best green thumb that you can have." 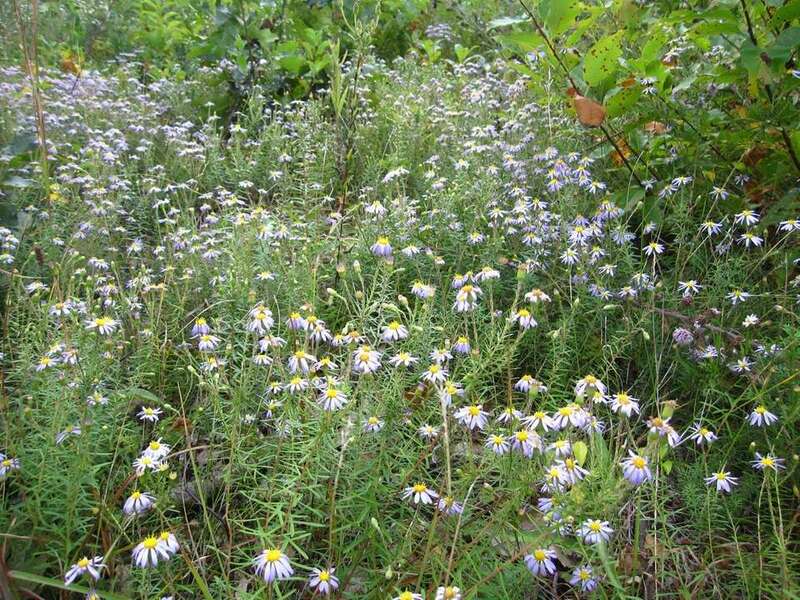 Native to the Pine Barrens region, stiff aster thrives in a sandy habitat. "It's a somewhat low-growing, semi-evergreen aster that has beautiful nickel-sized flowers that bloom on a small shrub that's really an herbaceous plant. Its foliage feels like sandpaper, and it has beautiful color, shape and texture that you can see and also feel. I'm trying to encourage it within the industry." 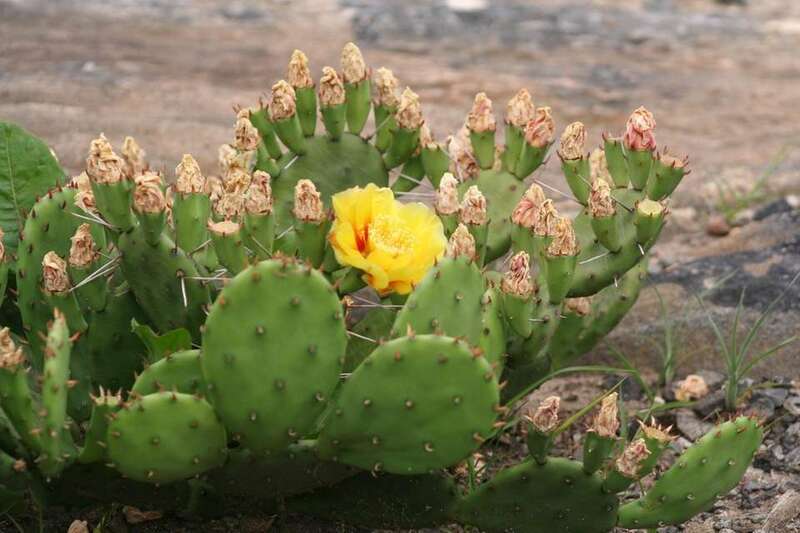 "This is one of my favorites just because it's our only native cactus. It produces a beautiful red, small fruit, you can use it to make jams and jellies, but you have to earn it because it's full of seeds and it's prickly. It grows on the dunes in really hot, sandy, dry sites, and doesn't like to be cared for, so a lot of people like to put it near their mailboxes or where other things won't grow. Also, it's really good for planting in areas where you don't want people to go; it's a good plant to naturally redirect people." 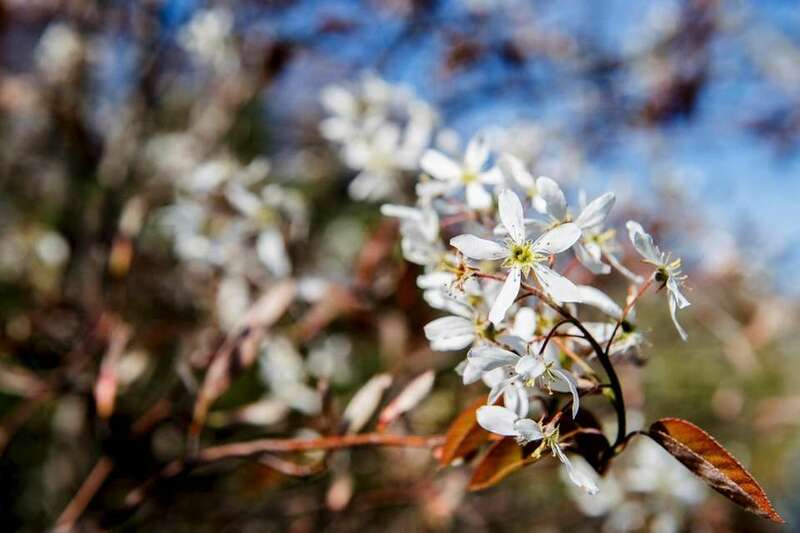 "Amelanchier is an early-blooming, woody shrub that's blooming right now and produces fruits in the early fall. It gets its name because back in the day when the winds would blow and the snow would come, they were unable to bury those who died over the winter, so they would wait until spring, and when they were able to bury those who didn't make it, the Amelanchier would be in bloom, so it earned the common name serviceberry. It's also called shadblow because the shad are migrating at the time when it's blooming." Enter our garden poetry contestGarden poets, dig deep. For this year’s garden poetry contest, I’m asking you to do ... Using native vs. non-native plants'using native vs. non-native plants' Enter our rescheduled Tomato ChallengeCan you grow Long Island's biggest tomato?